EOS, a leading supplier of industrial 3D printing of metals and polymers, has launched the new EOS M 300-4 system. The company says the new system is part of the broader, modular metal 3D printing platform EOS M 300 for digital industrial additive manufacturing production. Industry robotics: How will it affect you? 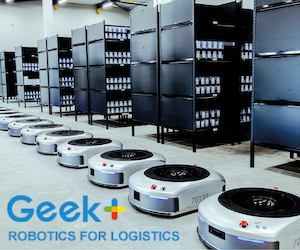 Robots have evolved, creating an era where machines are used on the factory floors, in manufacturing warehouses and in logistics. The robotics industry is booming with global research predicting that the industrial robotics industry is set to surpass $80 billion by 2024. But does this mean the world is ready to replace man with machine? A daunting concept for some, for others an opportunity to underpin the capabilities of collaborating on a whole new level. 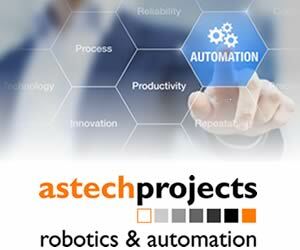 [Read more…] about Industry robotics: How will it affect you? Since RoboticsAndAutomationNews.com was launched a couple of years ago, we’ve learned a lot. One of the things we’ve learned is that there are many interesting trade shows around the world related to the industries we cover. The concept of smart manufacturing is to play a central role at this year’s China Industrial Industry Fair. Smart manufacturing is a term used to mean any manufacturing system which uses advanced technologies – such as robotics, automation and network connectivity. Baumüller will introduce what it describes as “complete solution packages and industry-specific components” at Drinktec 2017, the drinks packaging industry event. From September 11-15, 2017, Baumüller will participate in drinktec 2017, the world’s leading trade fair for the beverage and liquid food industry in Munich.